Large format flatbed digital printers are among the most popular new digital printers, typically using UV-curable ink. Mimaki has been using LED technology for some time now, and this is what’s used in the JFX200-2513. There are good reasons to use LEDs for curing the ink. Traditionally curing of the UV ink is done using conventional mercury vapour lamps but they consume quite a lot of power and produce a lot of heat – which might be too much for some delicate substrates. The JFX200-2513 uses LED (Light Emitting Diodes) which doesn’t generate ozone like conventional UV lamps do. The inks used, in this case Mimaki’s LH-100 and LUS-150 UV-curable ink, emit very low levels of VOC (Volatile Organic Carbon), so together with the use of LEDs this can be rightfully regarded as a more environmentally friendly technology than other more conventional printing technologies. Mimaki markets the JFX200 as an affordable flatbed digital printer, so perhaps suitable at an entry level, complementing existing roll-fed large format printers. It’s reasonably fast at 25 sqm/h in colour, and 12.4 sqm/h if white ink is used simultaneously. This translates to up to eight full size sheets per hour in High Speed mode, while in High Quality mode (1200×1200 dpi, 16 passes uni-directional) we are down to 3.4 sqm/h or one sheet per hour. The maximum print area is 2.5×1.3 m at up to 50mm thickness. Thanks to the UV-curable ink and the flatbed technology, printing can be made onto almost any substrate including acrylics, polycarbonates, PVC, glass, aluminium, metal, polyester, foam board, styrene, wood and stone. 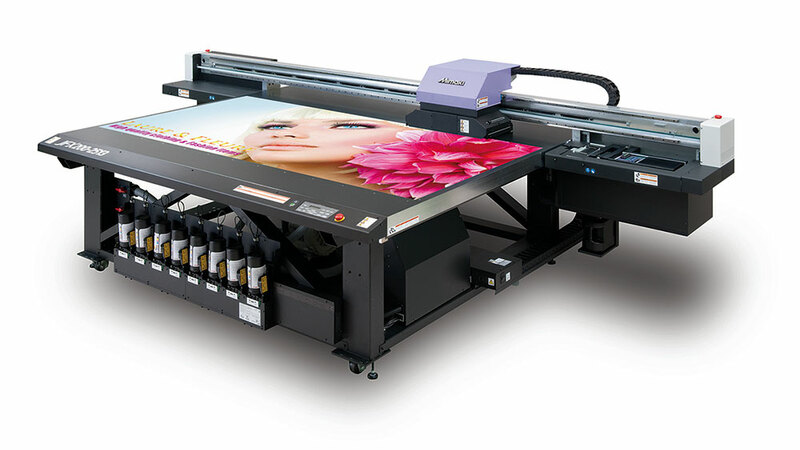 The Mimaki JFX200-2513 is a large format flatbed printer using LED ink curing technology. It can print on up to 2.5×1.3m size media (imaging area 2.44×1.22m), of up to 50mm thickness. Other features include the MCC (Mimaki Clear Control) that enables colour printing and clear printing simultaneously. The JFX200 is equipped with pins and a scale to ensure accurate substrate alignment on the flatbed. By fixing the substrate to the pins, checking the placement against the ruler and then editing the design or printer setting accordingly, alignment problems should be eliminated. The JFX200 has two on-demand piezo print heads arranged in staggered arrays. The print heads offer variable dot size down to 7pl droplet size. This doesn’t transfer directly to addressable resolution, but in High Quality 16-pass mode this will be equivalent to 1200 x 1200 dpi. 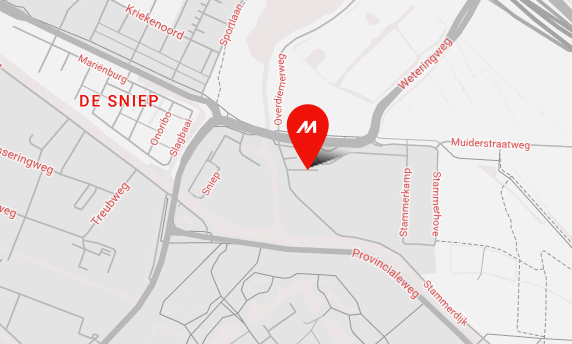 To avoid sedimentation of the pigments in the white ink, Mimaki uses its MCT Mimaki Circulation Technology where a circulation pump regularly circulates the ink from the main ink tank to the sub tank via the actual print head. The default RIP software is RasterLink 6, with special functions for the JFX200-2513. We tested the JFX200-2513 but Mimaki has also added a larger model, the JFX200-2531. The test results should be valid for this new model as well, but the imaging area is larger – 2.5×3.1 metres. The JFX200-2531 has a toggle print function to increase productivity. Operators can load one board while another is printing. We spoke to Stan Cherry, managing director at Ebbsfleet Printing Solutions to ask if he was pleased with the investment in a JFX200. Ebbsfleet Printing Solutions has eight employees, and was founded in 1999. It is based in the very up and coming area of Ebbsfleet in Kent and provides print services to councils, schools, universities, estate agents and football clubs – just to mention a few different clients. 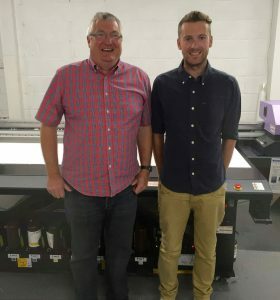 Two of the happy users of the Mimaki JFX200 are Stan and Sam Cherry at Ebbsfleet Printing Solutions in Kent, England. They had roll-fed printers from Mimaki already, and wanted to complement with a flatbed printer. 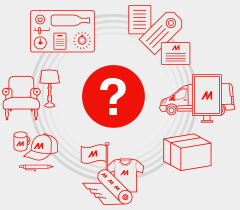 Spindrift: What did you find was especially interesting or important with the Mimaki JFX200-2513? Is this the first Mimaki printer, or what other printers did you have already? Stan Cherry: With the highest quality of roll fed machines already in place at Ebbsfleet being three JV33, one SUV and three CGFX cutters, the next step in moving the company forward was to add a high quality flatbed printer to our portfolio. Spindrift: Did the JFX200 live up to expectations? If so, is there any particular feature/capacity that you appreciate the most? Stan Cherry: The outstanding print quality and the added value of a prime white ink has been a real success with our demanding customer base – not to mention the time saved on finishing! Spindrift: Is there some feature you hadn’t realised was so useful beforehand, but turned out to be very important once you started to put the printer in real production? Stan Cherry: Overall we are very happy with the flatbed – it does exactly what is says on the tin! Our test required participants to provide output samples from test files supplied by Digital Dots. For the colour gamut test, we use a standard IT-8 CMYK profiling chart; for the resolution test, we use a specially designed chart with line pairs at a wide range of spacings. The participants printed these under optimum conditions onto two types of substrates: glossy vinyl and uncoated paper. For visual evaluation of general image quality and smooth reproduction of tonal graduations, we also ask for an output of a 70×100 cm poster. This poster was also used to evaluate the uniformity of ink density across the whole width of the substrate. We take five measurements of full tone cyan and then use the SpectroShop software to compare the colour deviation between the first sample and the other four. As a threshold we decided on 2.5 ΔE, the same value suggested in the ISO 12647-2 standard for when printing solid spot colours. We measure colour gamut by creating a standard CMYK ICC profile from the IT-8 characterisation chart data, allowing 400% TAC and using UCR for black generation, in order not to limit the gamut by the profile itself. This was done using an X-Rite i1 Pro 2 spectrophotometer and professional profiling software. The profile was then analysed with Chromix ColorThink Pro to yield a figure for the total number of discrete colours contained within the gamut. We define discrete colours as separated by a delta-E value of 1, using the CIELab colour space as reference. To measure resolution we viewed the prints of the line pairs chart under a digital microscope. We wanted to determine the point at which the lines could no longer be differentiated as distinct pairs. We call this the resolving power of the printing system, and this is often different than the stated addressable resolution, as per the technical specification. The resolving power is a combination of the native resolution of the print heads, droplet size and mechanical precision when moving the print heads and/ or media while printing. As a complement to the line pair chart we also print text, both positive black on white and inverted white on black, in a small font (down to 4pt). We also check if the printer can print in compliance with the ISO 12647-2 standard. Although this standard is intended for litho offset printing, it’s very common that digital printers and their customers use this as the main reference for colour quality. Finally we tested the opacity of the white ink option. There is no published ISO standard for how opacity should be measured, when using a digital printing device, but we use a suggested method and formula for this, that might become a published ISO standard in the near future. We measure the lightness of un-printed substrate (a very black vinyl) and then compare the whiteness of white ink printed on a white substrate with the whiteness of white ink printed on the black substrate. The results are then the opacity presented as a percentage where a number below 50% is not very impressive, but an opacity above 90% is very good, and at 100% it would be entirely opaque white (but this is almost impossible in reality). In the resolution test (left), the Mimaki JFX200 showed identifiable line pairs up to the equivalent of 300 dpi in both the horizontal and vertical direction. Shown here is an image of the sample as seen using a digital microscope at about 500x enlargement. The JFX200-2513 could reproduce four point text well (right), both black on white background white text on black. Shown here is an image of the sample as seen using a digital microscope at about 500x enlargement. Mimaki submitted test samples produced using the LUS-150 inks on Avery vinyl. Our gamut test indicated a total of around 530,600 colours (to be compared with the approximately 400,000 colours of litho offset on coated stock), so more than 30% larger gamut than that of offset. For the uncoated substrate, printed on BlueBack stock, to simulate uncoated stock, the gamut was measured to be 469,600 colours, a bit less than on glossy substrate. But this is expected, since prints on uncoated stock normally produce a less vivid and colourful result. It’s still much higher than for offset on uncoated stock, which is only about 170,000 colours. The reason is most likely the thicker and more opaque ink layer of UV-curable ink than that of offset. In practice it means you can achieve a large gamut more or less independent of the substrate – yet another benefit of using UV-curable ink. In the resolution test, which again was printed on the Avery vinyl and with the same resolution settings as the colour gamut chart, distinct line pairs could be seen at up to 300dpi in both the horizontal and vertical direction. The small text was clearly reproduced down to 4-point, both the positive text and inverted white text on black background. When measuring in five samples of solid cyan across the width of a 70×100 cm poster, the uniformity of the ink density was good, in average 1 ΔE. The five samples are compared with the average value. 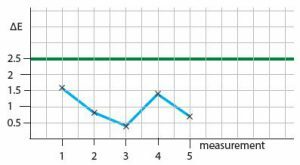 Regarding uniformity, the Mimaki JFX200 showed a maximum deviation across the page of 1.6 ΔE (and an average of 1 ΔE), which is OK if not excellent. A colour deviation below ΔE 1 is impossible for the human vision to detect, while a colour deviation of 2 to 2.5 is only just visible. While the gamut of the JFX200 is well over that of litho offset, the test of compliance to ISO 12647-2 on coated stock still failed. This is most likely due to the fact that the default RIP, RasterLink 6, is not a dedicated proofing RIP. If using a RIP with dedicated proofing features there will be a good chance that the JFX200 will be able to match the colours according to the ISO 12647-2 2 standard, for example represented by the popular Fogra 39 ICC profile. Using the white ink option we calculated the opacity to be 92%, which is very good. Ideally the opacity should be close to 100%, but this is almost impossible in reality. Reaching well over 90% should open up all of the interesting applications where you would benefit from printing white ink, for example, when printing on transparent substrates to be the base for colour images on top, viewed backlit. Mimaki combines very high quality print, reasonably high speed and good environmental credentials in the JFX200. The LUS-150 UV LED ink has a considerably larger gamut than, for example, offset, so should offer near photographic quality as well as ISO 12647-2 compliant print if requested. The benefit of the LED UV-curable ink is both that it works well on a wide range of substrates, and offers good environmental credentials.